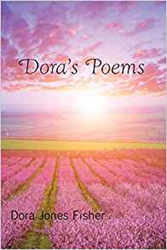 Recent Release “Dora’s Poems” from Eber & Wein Publishing author Dora Fisher is a heartwarming poetry book of life experiences as she grew-up in her wonderful neighborhood with her siblings and neighbors. It reflects her father when he served in the World War II, her mother as a devoted housewife and her family, the good and bad, who have made a great impression on her as well as others. Dora Fisher a prolific poet and a State Administrative Specialist for Little Rock, Arkansas, has completed her new book, Dora’s Poems, a moving book of poems that features the fun she had and the conversation she shared leaning from people she has met over the years and her gripping experiences with her family as they traveled together and saw amazing sights and her lovely observation of animals and nature. Published by Eber & Wein Publishing, Dora Fisher’s page-turner showcases a variety of poems that will allow readers to appreciate the people in their lives, just like the author values several in her family. Fisher does not see life as boring; through her poems, one can see that both good and bad circumstances can teach someone to appreciate life in its totality and live it to the fullest. "Dora's Poems" can now be purchased in Pyramid Art, Books and Custom Framing Store in Little Rock, Arkansas. Readers who wish to experience this enthralling work can purchase “Dora's Poems” online at Amazon or Barnes and Noble.